Having been raised in front of our family’s trusty old TV set and in the darkened imitation-butter-smelling theaters of suburban Anytown USA, I often find myself comparing personal life situations to those on the screen. And yes, there really is a “Seinfeld” skit for approximately seven-tenths of the events of my life, big or small. Serenity now! Recently, however, I found myself mired in a swirling mélange of three movies at once. And it all started at the dentist’s office. I had broken a tooth, you see. It fell apart while I was flossing, of all things. You know you have serious doubts about the strength and durability of your pearly yellows when you crack a tooth by flossing. I imagine that pretty soon my molars may start crumbling while eating pudding. In that event, I’m just gonna pack it in and head off to the old gummers’ home. Anyway. It took a few days to get an appointment, so I suffered through the interim by stuffing a tiny ball of chewed gum in my fractured fang. That way, I could keep from shredding my tongue on the ragged remnant of my poor tooth. 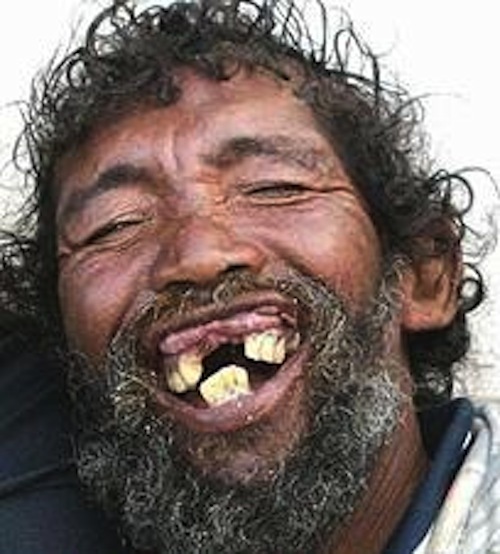 The dentist said it was a clever temporary fix, but he feared I may have caused an infection. I would find out, he mentioned in passing, as he began to pump my gums full of anesthetic. Infections, he said, tend to render anesthetics and numbing agents ineffective. There wasn’t much of anything left of the old tooth, so the decision was made to extract. Shouldn’t take too long, he said. Thus began my descent into the Seventh Circle of Hades. Dente’s Inferno. Brother, either I had a bad infection, or my tender pie hole is the most sensitive mouth this side of the Susquehanna. For a mindblowing, life-flashing-before-my-eyes, expletive-spewing one hour and thirty-five minutes, the poor Spouseman suffered through the worst pain I’ve experienced since Daughter Number Two nailed me square in the cajones with a sharply hit, line-drive softball. Why do they call them softballs, anyway? That thing felt pretty solid to me. So through the pungent dental haze of grinding and cracking and tugging and groaning I found myself transported to the movie Marathon Man. I was Dustin Hoffman, supine and at the mercy of former Nazi prison camp dentist Laurence Olivier, who was drilling into my defenseless teeth all the while smiling and calmly asking me if it was safe. “It’s safe! It’s safe!” I hollered, but the torture continued. Eventually, finally, dentist man had his prize, and I had a mangled mouth and a prescription for some hefty pain meds. The pharmacy guy advised that I eat something with these pills, but eating something—anything—was out of the question. The inside of my mouth looked like a bad Picasso. Thus, later that evening, in considerable agony, I weighed the nuclear-powered pills in my hand and found myself suddenly in the movie Catch-22. The catch, in my case, was the fact that I needed something substantial in my belly in order for the meds to bestow the blessed relief without terminal nausea; however, eating was impossible because of the very pain I needed relief from. See Heller, comma, Joseph. I scarfed down the pills and dispatched a quick prayer to the digestion gods. The meds slowly eased the agony enough for me to fall asleep. But. Sure enough, in the wee middle of the night, I woke up sick as my old tabby cat after a heavy catnip bender. Getting out of bed was no easy feat; the world was spinning worse than an old Iron Butterfly video. I felt my way to the bathroom, took a step toward the toilet, and promptly passed out. The next thing I remember was my dear wife screaming at the top of her lungs. I managed to peer open an eye, and suddenly I was in the movie Helter Skelter. From my v antage point sprawled on the floor, the bathroom looked like . . . , well, let’s just say it weren’t pretty. 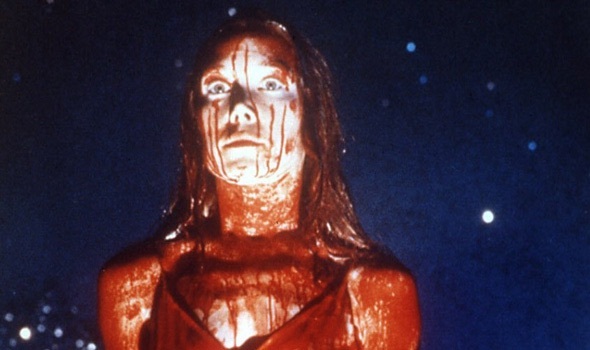 I hadn’t seen that much blood since the prom scene in Carrie. Or Helter Skelter, take yer pick. I had apparently konked my noggin on the sink on the way down. Sinks and foreheads don’t mix well. I took the next day off work to rest, heal up, and catch up on Seinfeld reruns. Fittingly, it seems, the first one I tuned in to was the episode in which Jerry is accused of being a rabid anti-dentite because of his skittish reaction to dentists. Indeed. I was able to funnel some warm soup into me in order to prevent the pain meds from bursting forth violently from my bod again. When I checked my e-mail later that morning, I found one of those robotically-dispatched surveys from the dentist office, asking me about my recent experience. Was I satisfied? Was the office clean? Etc., etc. I typed four words: “No soup for you!” Not sure why, seemed to make sense at the time. Probably the pain meds. Not that there’s anything wrong with them. That was such an awful description I couldn`t even laugh at your pain. Ouch. To say the least.